TORONTO — It's unacceptable that 90 of Ontario's most vulnerable children died in a single year, especially since most of those deaths could have been prevented, the province's child and youth advocate said Monday. Those children, who had been flagged by child protection services, may represent less than a quarter of all kids who died in Ontario during the year, but the number is "still too high by any standard," Irwin Elman wrote in his annual report. The 51-year-old father said he was "startled and concerned" by the figure when he first heard it. "I was concerned as much about that number as about the lack of understanding about that number that I felt that people had," he said in an interview Monday. "I didn't know it myself." Even though he worked in child welfare for 20 years, Elman said he had "no idea" there were so many kids in care who died each year. "It's startling that young people that we feel are important enough to use resources of our government to protect - as well as parent sometimes - we don't even know how they do in school," he said. "We don't know that so many of them are not surviving our attempts to protect them. That's startling too: just that we didn't know." The 90 deaths from 2007 represent the most recent statistics from Ontario's chief coroner, Elman's report said. Sixteen deaths were ruled accidental, nine were suicides, four were homicides and eight were from natural causes. Nearly half of the cases where the manner of death was known involved children under a year old, while 32 per cent were kids between the ages of 12 and 18, Elman wrote. However, 22 cases were considered undetermined, 17 are still to be classified and 14 were not considered appropriate for investigation by the coroner. "It is - to say the least - troubling," said Premier Dalton McGuinty. "If we lose just one child in care, that's an issue that is a cause for concern for all of us." But in many cases, it's "almost impossible" to obtain information that would allow his office to investigate complaints of wrongdoing, Elman noted in his report. For instance, the Children's Aid Society has refused to share its child death reports, even though they are submitted to the coroner and the Ontario government, Elman noted. Last fall, his office took the government to court to obtain the reports and photographs it needed to investigate complaints of abuse from a youth in detention. The court case was later dropped after the information was produced. Elman said his powers are not broad enough to ensure the information is shared, and requests to change the legislation have been rebuffed. "Good information would help us discover where there are snags so we can advocate for change," he wrote. Children and Youth Services Minister Deb Matthews said the province now has a "protocol" in place with Elman's office that allows for information to be shared within 10 days of a request. Elman's job is "important," she said, but wouldn't back his call for extended powers. "We think that if we can facilitate the information, he can do his job," Matthews said. Kids who are in the care of the Children's Aid Society often come from "troubled families" and engage in "high-risk activities," she said. But that doesn't mean it should be easy to accept the number of children dying each year, she added. Matthews quickly zeroed in on the report's suggestion that safer sleep arrangements for very young children - like keeping them from lying on their stomachs - could prevent some deaths, adding that it was one area she would target for improvement. NDP Leader Howard Hampton dismissed it as a diversion tactic, saying Matthews should instead focus on helping overworked case workers and fixing a deeply flawed system that's letting kids slip through the cracks. "We're not talking about crib deaths," he said. "We're talking about things that could have been easily prevented. We're talking about suicide and in some cases homicide." The death of children like Katelynn Sampson proves that not enough is being done to protect vulnerable kids, Hampton said. The seven-year-old girl's battered body was discovered by Toronto police last August, sparking a provincial review of how courts handle child custody cases. The woman who was awarded custody of Sampson has been charged with first-degree murder in the girl's death, along with her partner. Elman joined the public outcry in the wake of Katelynn's death, saying protections put in place to help children like her "all failed." Both the New Democrats and Progressive Conservatives say the province should consider Elman's request for more investigative powers. "I think that's the critical piece," said Conservative critic Julia Munro. The province is putting up roadblocks when it should be doing everything it can to find out what's wrong with the system, she added. Ninety children known to Ontario's child welfare system died in 2007, according to the latest report from the chief coroner's office --- a number the province's new child advocate says is shocking and should trouble us all. Equally disturbing, says Irwin Elman in his first annual report to the legislature today, is the government's refusal to share detailed information on these deaths with his office. 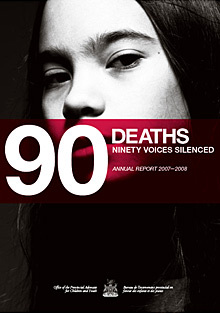 "These are obviously very critical documents for the understanding of the events leading to the death of the child or youth, and entirely necessary for the work of the Advocacy Office," Elman writes in the report entitled 90 Deaths: Ninety Voices Silenced. "The matter of access to information is one that we will pursue vigorously." 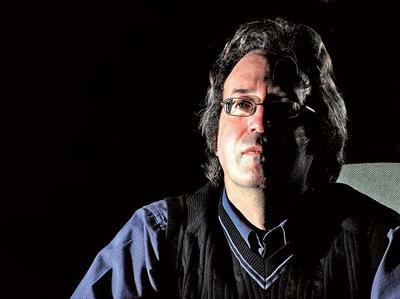 In an interview, Elman, who has worked with youth in the care of Children's Aid Societies in Toronto for more than 20 years, said he had "no idea" so many of these vulnerable children, who were either open cases of the CAS or had died within a year of their files being closed, could perish in a single year in Ontario. Nor did he know that the number of children who have died has been constant since the late 1990s when the Coroner's office began tracking their deaths. When he asked medical officers of health and colleagues in child welfare, they, too, were surprised by the number and urged him to speak out, Elman said. The 90 deaths in 2007 are recorded as part of the chief coroner's annual Pediatric Death Review Committee report released last June. Most of the deaths were preventable, the committee concluded. Of the 76 classified deaths, 34 were babies younger than one year old and 24 were youth between the ages of 12 and 18. In his report, Elman said his office will request legal standing at all inquests into deaths of children in the system and will conduct an independent review of jury recommendations dating back 10 years to determine trends and gaps.